What are some symptoms of job shock? Training on enabling knowledge and skill is an important part of performance and must be done. We also need to measure how much of the knowledge or skill has been absorbed. 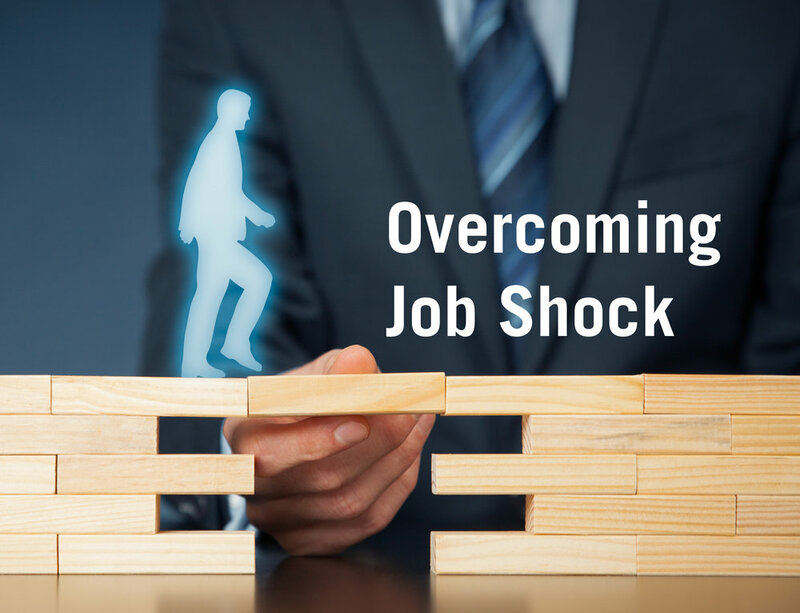 However, avoiding job shock starts with a clear understanding of requirements of the work being performed and moves to the next step by creating training that puts the learners in situations that best approximate real-world performance. Here are three examples that highlight the difference between enablers and performance. In each example below, successful performance is built on the integration of knowledge and skill in a real world context. Please keep in mind that these are snapshots and we are omitting possibly important information. Call center agents often have a tricky, high-volume, high-velocity job. On every call, they must juggle and balance the needs of the business with the needs of the customer, and do so while meeting various performance measures. Policies/rules for pricing, discounts, exceptions, etc. Processes and procedures for ordering, fulfillment, troubleshooting, etc. A successful call center agent effectively integrates the individual enabling knowledge and skills on each call, handling a wide variety of unique customers and situations while meeting the performance measures. The scenario is different each and every time, but until the voice on the other end of the line is heard, the agent often has no idea the reason the customer has called and if the customer is upset, happy, or doesn’t communicate well. Financial advisors help their clients in each of the phases of the wealth life cycle and have a goal to put their clients in the right investments to maximize their wealth at each of the phases. Processes and procedures for on-boarding new customers, trading, resolving issues, etc. Financial advisors collect information, judge circumstances, make decisions or recommendations, and influence people. At the center of the Financial Advisor’s performance is practice management since they are essentially a small business owner, responsible for tasks to establish and grow their business. They must locate, qualify, on-board, and nurture clients using a variety of methods and different approaches. While there are important and proven behaviors that predict success, they are measured with a variety of lagging indicators that often reveal their success long after an action is complete. Systems Analysts identify and solve problems caused by user error, processes that aren’t correct, code that doesn’t work properly, and an array of other reasons. They monitor usage and activities and when an issue arises, investigate and resolve the matter. Systems analysts/troubleshooters are responsible for correctly assessing a situation and creating a symmetrical response to an issue that arises by identifying the root causes and addressing the user error, fixing or redesigning the process, or rewriting code. They may have points of escalation for issues that are of sufficient complexity or scale. Troubleshooters are often measured in the short-term by the speed, accuracy, and completeness of a response to an issue. In the longer-term, they are often measured by whether their response is sustained and doesn’t lead to additional issues downstream. As we watch the learning market of tools, technologies, and models expand and diversify, we have to remind ourselves of what matters to the business leader and to the learner – performance. Job shock is a problem that can be solved by making training look, feel, and behave more like real-work. It isn’t always easy to find ways to create experiences that look and feel like the real world. Given the alternative of only focusing on enabling knowledge and skill, creating close approximations to the real-world is of high-value to business leaders and so should be something we strive to achieve.